A Small tutorial on "How to start Trading?" What does it takes to be successful in Trading ? We are going to see 2 articles on this subject, this is Part 1. In this part I will give introduction to Trading and tell you what exactly is it and how should you approach it (if you want to do it). Dr. Alexander Elder, explains in his legendary book “Come in to My Trading Room”, the 3 M’s of Successful trading, which I will touch upon today and will explain it in my own way to you. In the second part we will see the 3 M’s in my way of explanation. Let us first see what exactly is the difference between Trading and Investing and then we will go over the explanation. Investing means buying a stock of financial instrument for a long period of time, typically over several years. Assessing good investment opportunities often makes use of fundamental information, such as earnings, but can also use technical analysis to detect long-term trends. Trading means buying and selling stocks or other financial instruments for shorter periods of time, typically less than a few months. 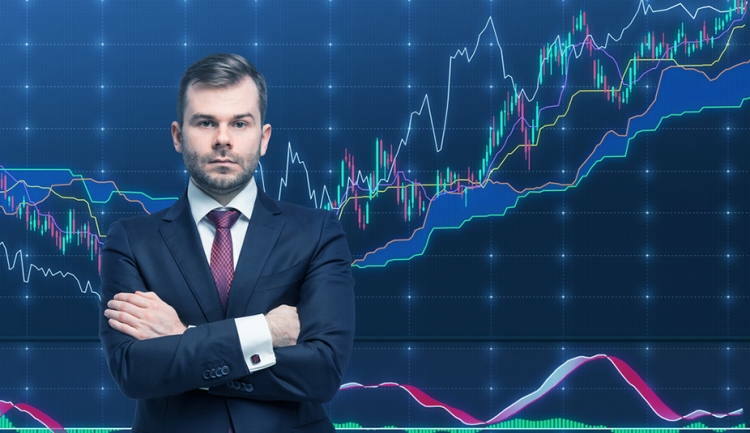 Assessing good trading opportunities typically makes use of trading systems or chart-based techniques to detect short-term patterns. The main advantage of trading over investing is that it provides the ability to make money regardless of the overall direction of the market or the price of an individual stock. The general consensus is that You can make more money in bear markets with Trading than Bull markets. Because bear markets provide steep movements compared to bull markets . How Risky and Rewarding is Trading ? Risk : Trading is considered as one of the most risky business you can ever do. Trading can wipe out your entire money so fast that you cant even imagine. As per the data, every 19 person out of 20 who does trading eventually looses. So the success ratio is not more than 5%, even out of this 5%, 3-4% just make small money, actually big money is made by 1% of people. Reward : If done correctly and successfully trading can make you enough money you cant imagine. Most of the successful traders make more money in a month than people who are considered as “making good money” make in a year. but this numbers is for highly successful traders. The other reward for successful trader is Independence. Once successful, you are your own boss, can work whenever you want, trade from all corner of the world while travelling. For people who want to try there skills in trading can try mock trading on moneyvidya.com, Just buy and sell stocks and see how much money are you able to make in 2-3 months, It will give you some feel of trading. You can also read past my article on MoneyVidya. Should you try Trading ? Well, Just anyone who thinks that trading is a “get rich quick” thing, is doomed to failure, this is the biggest reason why people fail, they start or see trading with wrong attitude, they want to make millions (if not billions) in just a month or a year from Trading, They underestimate the Risk part and over estimate Reward part of Trading and eventually fall pray to Market’s anger. Just because its “BUY” or “SELL”, they think its easy. and they need to read a little bit and because they are so successful and smart in whatever they are doing currently, they will succeed in Trading too. The approach Trading in a wrong way with totally unrealistic expectations. Are you ready to take Great risk of losing money ? Do you have time and energy to learn the stuff required to Trading ? Do you like Markets, numbers and what ever required for Trading ? Are you highly intelligent person ? How successful you have always been in whatever you have done earlier in your life ? Understand very well that Trading is a very very risky business and not an easy thing , you have to learn it just like any other profession like Medicine or Software and it takes time . But , now a days I would say Trading is much easier compared to earlier days , Now with the online trading and lots of data available on Internet , there is lot of scope in Trading now . Disclaimer : I am myself a student of Trading and still in my learning Phase , I have lost good money in Trading and still struggling to break even . But Eventually its going to happen, because I have not lost the confidence and still on fighting in the battlefield (Markets) . The stats Manish talks about is quite right, or nearly. It still astonishes me to what extent our research goes when we have to buy any product in the market. We spend hours talking to friends or the internet savvy surf the web until they find themselves in a satisfactory position to make the purchase. On the other hand when we have to learn a skill, we expect years of practice,education, and mentoring before we expect to become passable in the eyes of the top dogs of industry. Why then don’t we spend any time on educating ourselves on investing/trading? Perhaps it’s because we don’t have any resources we can trust to hopefully teach us something of value, without being scammed in the process. There are a couple of places Traders can start their journey. Ive been trading for almost a decade now, and live quite comfortable, and no we are not stuck infront of our screens all day. http://www.traderji.com – > really old site but tons of info. Do spend alot of time. Stay away from TIPS, they never work. hi manish, ur words were like the holy words from bible. V r reading nd learning from centuries bt could never overcome our fear for fall or greed for more. since a year i m trying to learn trading of my own bt could get the right soft (free) for start. Also learn various patterns in candlestick bar etc. but when it comes to live markets i feel i am still missing a lot to learn. it would be great if a blog or forum could be introduced for budding traders to share . http://www.jagoinvestor.com/forum is the right place to discuss on stocks. this blog is mainly for pure personal finance concepts ! Investing or trading is a task in itself . you need to learn alot and read few books for htat . I wanted to ask one thing, my brother has recently opened the Demat a/c in HDFC Bank free for life as a Oracle employee; Now that he has to purchase the stock and Gold ETF he needs to have the trading a/c as well. So, what are the procedure to open the Trading a/c, do he need to open an Trading a/c with HDFC or with any other Bank or Broking firm. Please suggest on the same. Demat account can be opened with any one . If that limit is hit , let your broker take the extreme step . I understand and agree with your point . there are chances that Nifty can drop 2000 points tomm in 10 sec and you can looose all your money in the trade , because in that case you dont get time to react . So there comes the money manangement , If you always put 10% of your Equity at any time in market and take maximum 10% loss on your money in market , this comes out to be 1% risk of capital. If things are in your control you will loose 1% , if not you can loose 10% max . But Nifty wont fall 2000 points in 10 sec 2-3 times in a row . If it does still them a person will have his capital protected upto 70-75% . We have very very less chance of this to happen . But if one puts 100% his capital everytime in trade , even though he has 1% risk criteria , he has chances of getting out of market some day . Money management is just to make sure that we protect our self from unforseen situations ,its in the hands of the trader how he is using money management . “Fat tail events” has happened and will happen over and over again . But thats what we have to live with . One can only control what they do , not what markets do . Anyways … That was my point . I get the essence of what you wanted to say . The events which I am talking about are something called the fat tail events or what layman call it to be “black swan events”. No amount of prudential money management can override such risks. Say for example if NIFTY drops 2000points in 10 seconds tomorrow? We are forgetting the mathematical nature of the problem at hand. And that is perhaps, just perhaps, our traditional risk models[position sizing/money management all start where risk models end] are delicate instruments. They can’t do the job of brunt work. Money Management/Position sizing help to achieve and smoothen our equity curve. They can’t handle fat tail events. And in that mind set people do many mistakes ..
i really like this post….even i have lost hell lot of money in trading and still trying to get what i have lost so this is actually story of 90% traders. Yeah … very true .. So there comes money management skills … someone with poor money management is definately going to go broke . Thats what i am going to talk in the next article . So the best thing is to keep shifting your trading money to fixed instruments which can help you later . thanks for the comment btw . Hence trading has its own risks.Even if you are a fantastic trader. If you are not, then get ready to say hasta-la-vista! @shaq I do not get any royalites for this . I am just putting my stuff on there site too . Royalties on these types of post, you are joking right? a student from high school will can write this post….. I am just on there core bloggers team , So I just put my articles on there blogs too ..